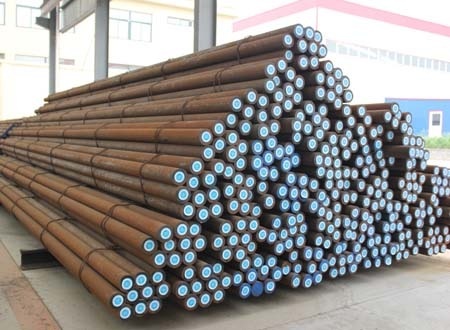 As we all know, the quality of product mainly depends on raw material, so our raw material is customized from the Chinese famous steel factory, which can guarantee the quality. Our lab is equipped with advanced testing machine to strictly control the quality of the product. We bundle the finished products according to the customers' requirements. 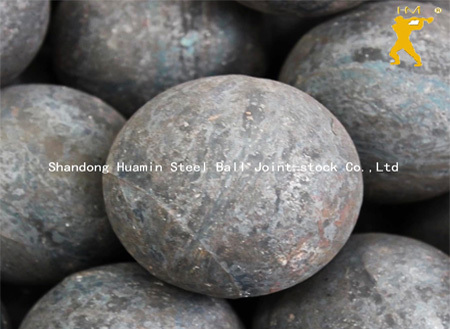 Posted By: Shandong Huamin Steel Ball Joint-stock Co., Ltd.
Business Description: Based on the village of blacksmith, rooted in Confucius charm, Shandong Huamin Steel Ball Joint-stock Co., Ltd. is formerly known as "The First Steel Ball Factory of Zhangqiu County ". 30 years of grinding media manufacturing experience and innovation spirit makes him more great-hearted, energetic and powerful!Our company was founded in 1986, 1993-2003 being as a joint-venture company with a Korean enterprise. In 2004 we restructured into a stock corporation. Grinding Ball (Forged & Cast), Grinding rod, Patent equipment of grinding ball and rod are our main product. 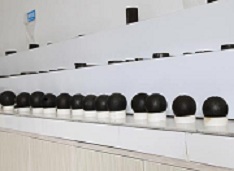 Concentrating on abrasive material research and development is the final goal at present and for long!Shandong Huamin Steel Ball Joint-stock Co., Ltd covers an area about 220,000 square meters, with building area of 50,000 square meters. There are 262 existing staff, modern office environment, advanced production equipment, a number of high-quality scientific and technical personnel and management personnel. After unremitting efforts of all staff for many years, the company has established a leading position in the domestic industry of forged steel ball. Now we have two production areas, with 11 of forged steel ball production line reached and developed by ourselves; 3 automatic grinding rod production line and the design production capacity can be 150,000 tons. Our products are mainly exported to Chile, South Africa, Ghana and more than 30 countries and regions. Moreover, we have established strategic partnership with the China National Gold Group, China Aluminum Group, Aglogold Ashanti Company, Rio Tinto Group and other Fortune 500 companies at home and abroad. Our company abides by three rules: offering the best quality products to customer; depending on the power of technological innovation; and creating the No. 1 grinding media brand for Huamin . Huamin has successively won the Famous Brand Enterprises of Shandong Province, High-tech Enterprises of Shandong Province, the Enterprise of Observing Contracts and Keeping Promise in Shandong Province, Exports Advanced Enterprises of Zhangqiu City and Jinan City and other awards. In 2013, the company was recognized as No.1 of comprehensive strength in forged ball industry by China Forging and Pressing Association. Inheriting excellence to create a better future, Shandong Huamin Steel Ball Joint-stock Co., Ltd will continue to focus on customer demands and adhere to the concept of "one family, one mind, one vigor," to continuously research and innovate, and bring the most advanced products to all over the world!